Tucked away in the National Park Lanin lies another Andean slice of skier’s paradise. Here at the base of the 6,463-foot peak you will hover above the turquoise gem of Lake Lacar far below. Spread your wings and ski through sugar sweet bowls and rocket down steep backcountry slopes. Since 2000 Chapelco has earned the reputation as one of the best Arentina skiing and snowboarding resorts in all of South America. It also offers ideal Patagonia skiing for all levels of ability. Located only 13 miles (21 km) from the city of San Martin de los Andes, it offers both big city nightlife as well as resort-style relaxation. This Argentina ski resort lies within a mature old growth forest not affected by deforestation. Cerro Chapelco's grand, old trees are draped in Liquenes (Devil’s Beard) lending an ethereal effect to the landscape. Here you will ski and board with the Patagonia locals in the heart of the Andes through tree-lined trails dripping with moss. A large variety of lodging options and services will make your stay here unforgettable. Skiing Argentina at its best! Access Cerro Chapelco’s 31 trails by 12 lifts, including a high-speed quad and a six-passenger gondola, that glide up the mountain to access 140 hectares of terrain. There is Argentina ski terrain here for everyone and all abilities. The steep backcountry bowls make for unforgettable runs with epic views of the Southern Andes. La Pala, a long bowl and chute system, which is considered out of bounds, is an extreme skiing option. There are also a series of chutes and bowls on the coveted "south face". For more thrills, explore the half-pipe and terrain park. 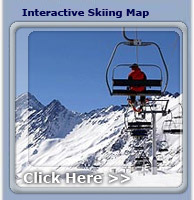 Ski and snowboard lessons are available as well as a ski school for the kids. If the little ones are still too young to ski there is a daycare center. This South America ski resort has something for everyone. The Cerro Chapelco base lodge offers a cafeteria, phones and an information center. This Arentina ski resort also offers a yoga spa retreat. You can enjoy a fantastic dining experience at the Rancho Manolo lodge, voted best on-mountain meal by the NY Times Explorer journalist, Michael Gross. He dined on crisp skinned-roast chicken, Spanish tortillas and a complex stout from Sur, a local brewery. You can also opt to dine on an Andean asado ( bar-b-que) and famous Argentinean ice cream in the Swiss-style city of San Martin de los Andes. After a day of Patagonia skiing and mountain fun head to San Martin de los Andes for its fine selection of restaurants. Enjoy El Mesón de la Patagonia and its delectable seafood, or La Costa del Pueblo and its country style and beautiful view of Lacar Lake. Los Notros Restaurant and its fusion of international dishes and traditional Patagonian cuisine is another excellent option. San Martin de los Andes also has a bubbling nightlife with bars, live music, and discos. The city is often compared to San Carlos de Bariloche, four hours south.